It is an environmentally friendly and unique formula for the removal of fleas, louse, cockroaches, lizards, spiders, black ants and small beetles in bird's dropping. 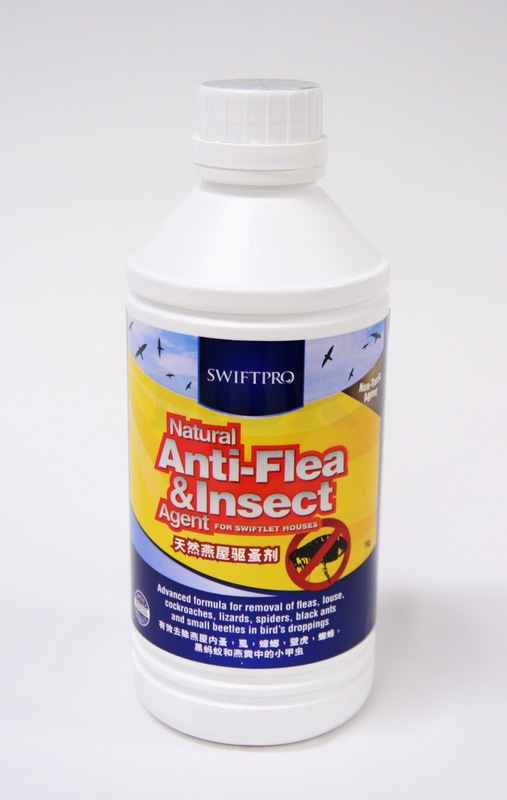 Reduce harmful effects on human and swiftlets from fleas and other harmful insects. Facilitate comfort living and enhance swiftlet population growth. Remove indesired disturbances from fleas affecting the quality of bird nests. Remove unwanted odour in swiftlet houses. Effective results from the use of this product are obvious and proven. This product contains natural smell which will disappear within a short time.